Pop Flower:Bold and truly beautiful, the striking ByDesign Scarves Scarf Vest in Pop Flower Is perfect for any special woman on your list this season. 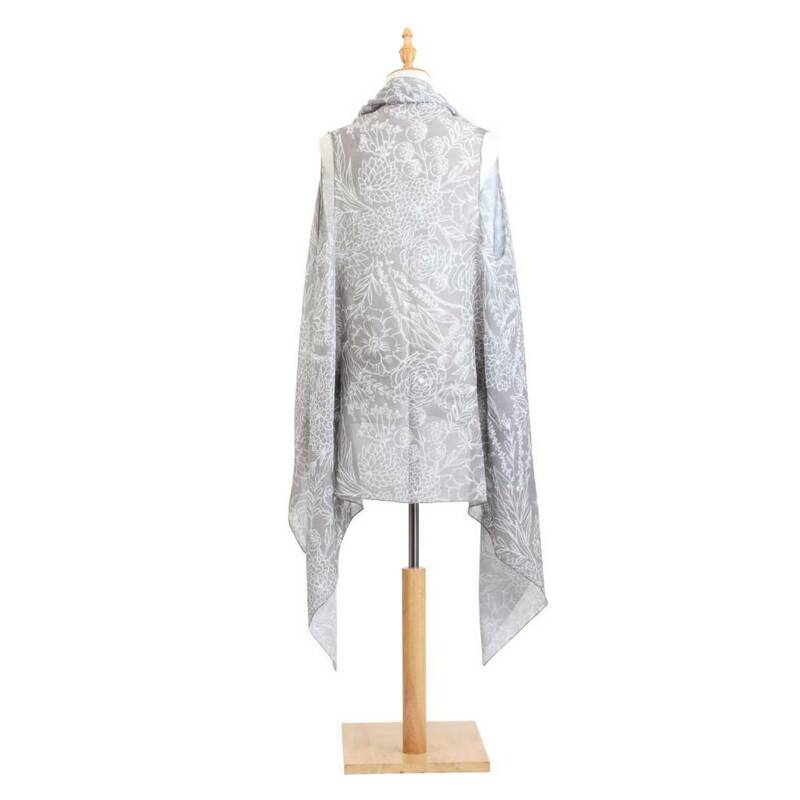 This stunning lightweight decorative wear features a modern scarf vest silhouette that can be easily worn with anything and everything in your closet. 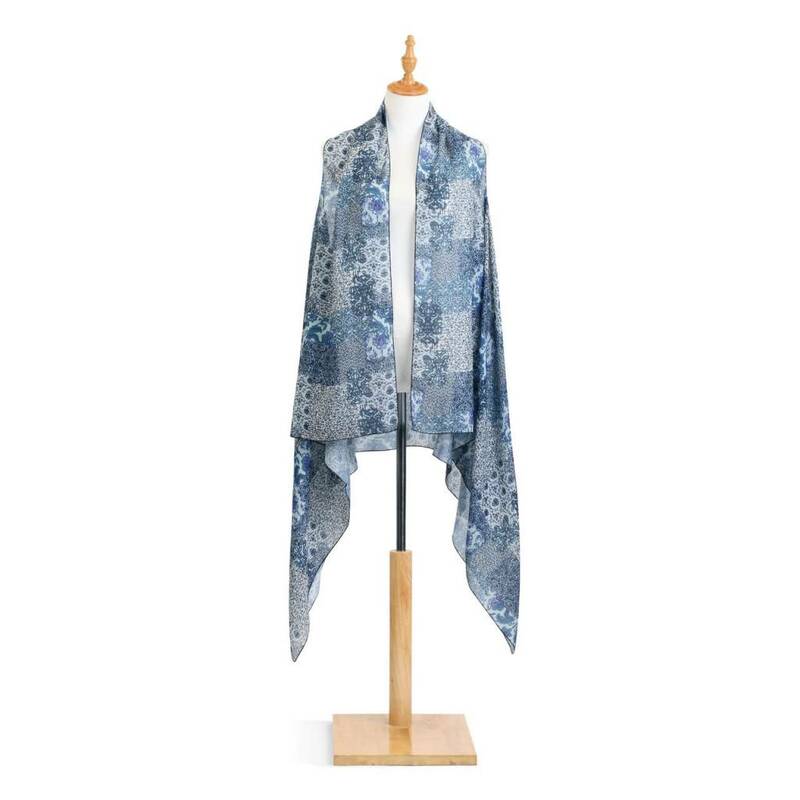 An eye-catching grey color is accented by a vibrant floral pattern for a breathtaking appearance. The luxe soft poly twill fabric and one size fits all design add the perfect finishing touches to this unique piece. Perfect for spoiling any lucky woman on your list, this gorgeous piece will make for a truly wonderful Valentine’s Day, Mother’s Day, or birthday gift.Material: polyester. Material: polyester. Dimensions: 63"w x 40"long. Do not bleach. Handwash only in cold water. Hang dry. Indigo:Playful patterns and classic influences combine in the eye-catching ByDesign APPAREL Scarf Vest in Indigo Patch. 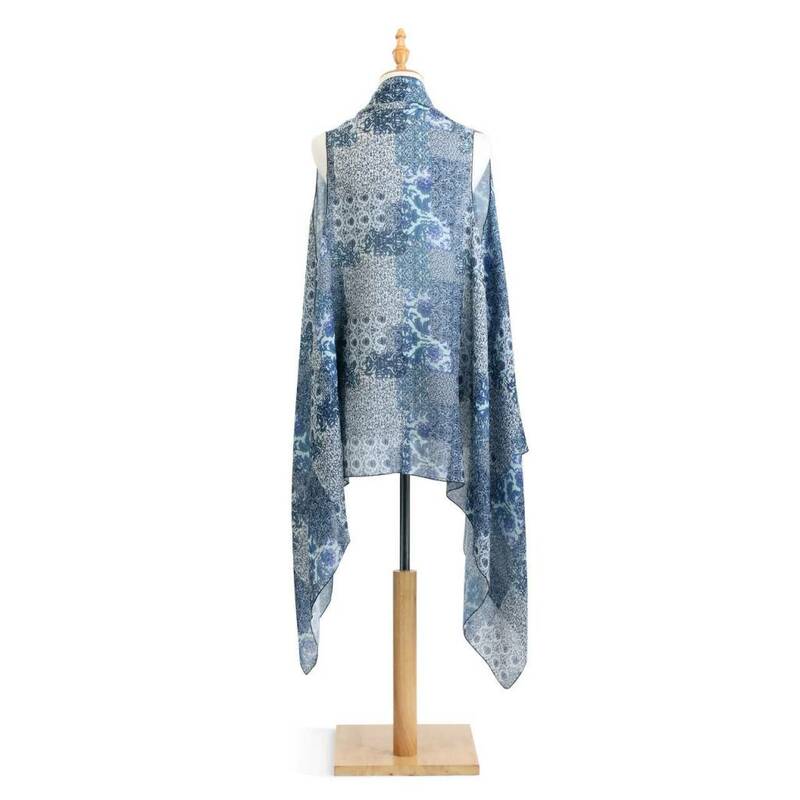 This truly lovely indigo colored lightweight piece features a classic scarf vest design with a unique one-size fits all silhouette that’s perfect for women of all different shapes and sizes. A bold patch pattern adorns the entirety of the piece for a breathtaking appearance. A super soft poly twill fabric keeps this piece comfortable to wear with anything in their closet. Perfect for spoiling any woman on your gifting list this season, this piece will make for an absolutely perfect Mother’s Day or Valentine’s Day for any special woman.Dimensions: 63"w x 40"long. Do not bleach. Handwash only in cold water. Hang dry. 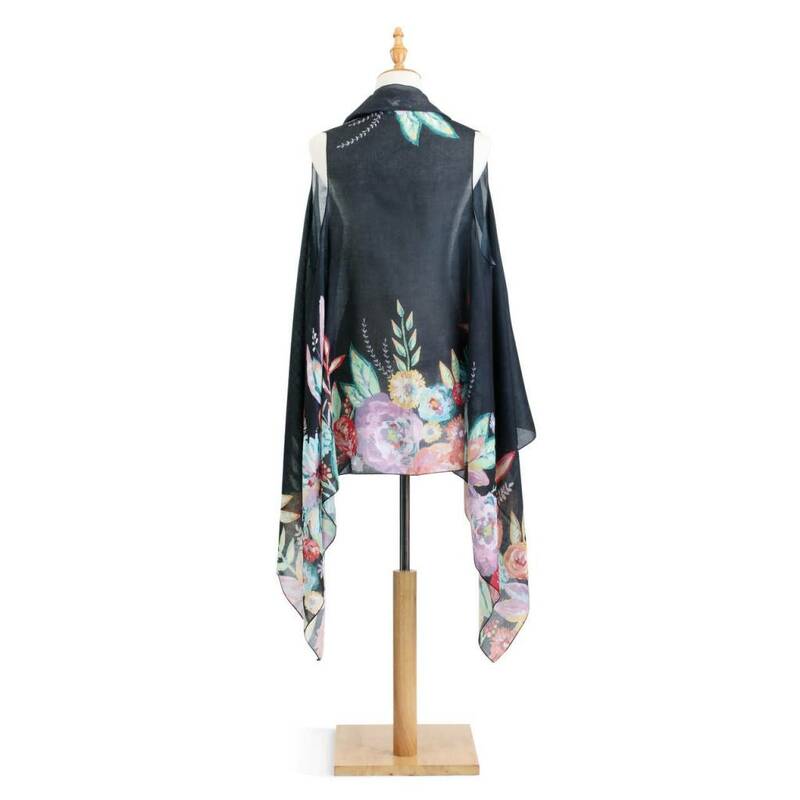 Floral on Black:Enchant and delight anyone and everyone this season with the truly beautiful ByDesign APPAREL Scarf Vest by Lori Siebert in Floral on Black. 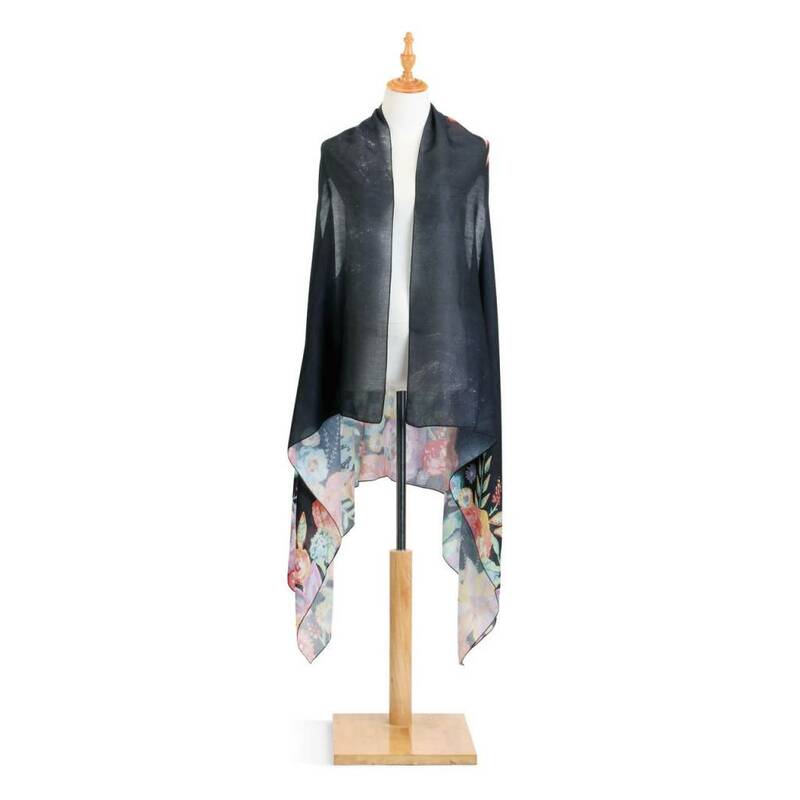 This eye-catching softy poly twill scarf vest features a bold blue and multi-colored design with a striking floral pattern for a breathtaking appearance. This piece is perfectly sized to fit anyone, with a one-size fit all silhouette. 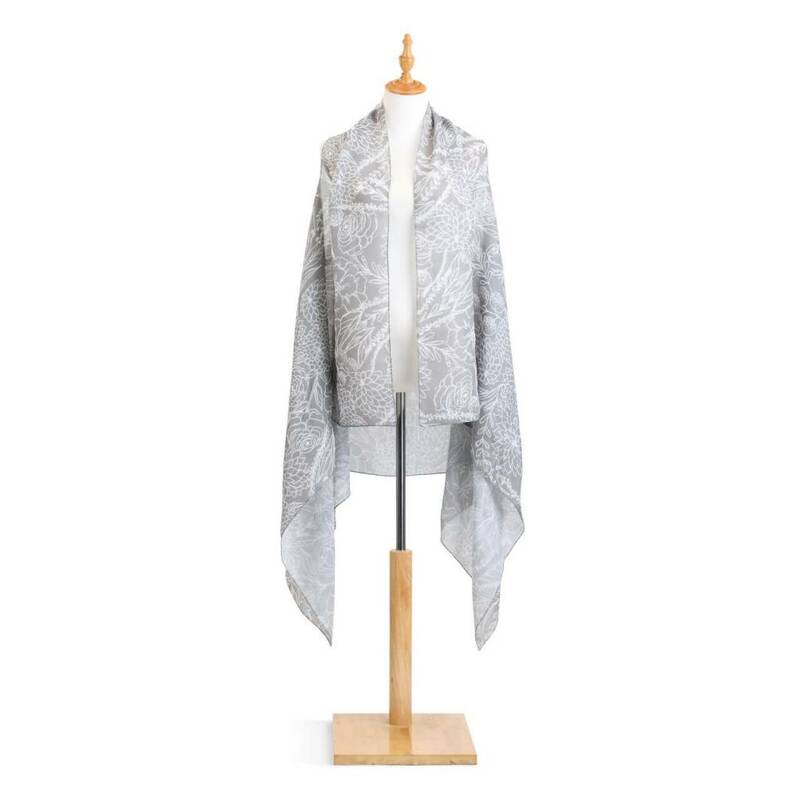 The lightweight fabric makes this piece perfect for adding to any look with any type of weather. Perfect for gifting to any special woman on your list this season, this wonderful piece will truly make for a thoughtful Mother’s Day, Valentine’s Day, or birthday present. Material: polyester. Dimensions: 63"w x 40"long. Do not bleach. Handwash only in cold water. Hang dry.